Outdoor furniture as a new fashion among the furniture, embodies the people of a leisure life. This summer is the layout of the new home owners, in the selection of outdoor furniture when you can forget the decoration of the various troubles, into the beautiful pastoral life. The emergence of more varieties of outdoor furniture, more fun. Such as wooden kiosks, tents solid wood tables and chairs, iron wood tables and chairs. General to use such high-quality wood furniture, with good corrosion resistance, weight is relatively heavy, long-term on the outside. Such as the West rattan chairs, Tesling chairs folding wooden chairs and umbrellas, and so on. 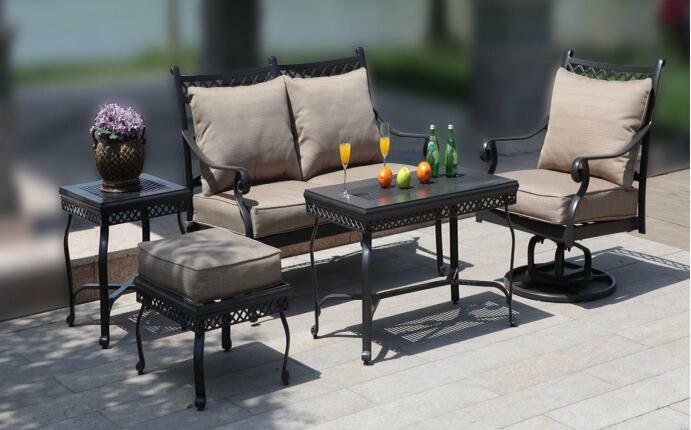 When used in the outdoors, when not in the room can be incorporated, so this kind of furniture is more comfortable and practical, do not consider so much sturdy and anti-corrosion properties, but also according to personal preferences to join some cloth for embellishment. Such as small dining table, dining chair and parasol, such furniture is generally made of aluminum or canvas, light weight, easy to carry, the field trip to play, fishing is very suitable, it is best to bring some outdoor equipment, barbecue pits Shelves, a class of tents, for outdoor travel add a lot of fun.